1) The War of 1812 has been called “America’s Second War of Independence.” Despite stalemate with Great Britain, the war ushered in a new spirit of aggressive nationalism — the era of Manifest Destiny. For the second time in its short history America had taken on the greatest military empire in the world, & survived. 2) During a visit by Britain’s Prime Minister, President Obama quipped “It’s now been 200 years since the British came here to the White House under somewhat different circumstances. They made quite an impression, they really lit up the place!” Joking aside, the War of 1812 marked the last time Britain & the US fought each other in war, a far cry from the “special relationship” that has seen British & American military serve alongside each other from the beaches of Normandy to the mountains of Afghanistan. 3) June 18, 1812 marked the first time the US Congress declared war against a foreign power. The last time was World War 2, after Pearl Harbor. 4) In 1812 the US Army had fewer than 12,000 men, individual states relying on ill-equipped & often ill-trained militia for defense. Experience of actual combat led to a massive restructuring and expansion of the army following the war, with the War Department becoming one of the most powerful and dynamic branches of cabinet. 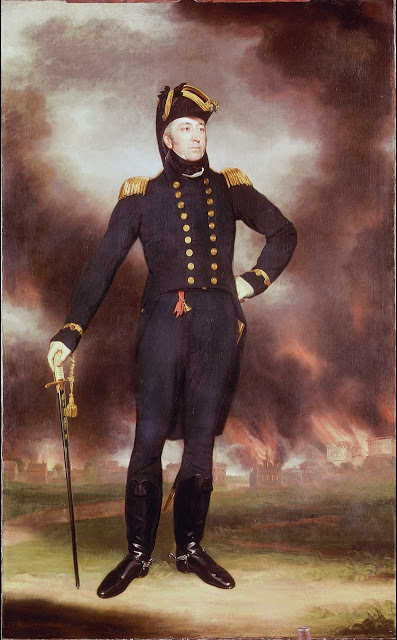 5) The War of 1812 also ensured the expansion of the US Navy, often a political football before the conflict. Despite some key morale-boosting victories against the might of Britain’s Royal Navy, the US Navy comprised just 16 relatively small ships on the eve of conflict. 6) A recent poll in Canada ranked the War of 1812 as the third most important event in Canadian history, just behind the Act of Confederation and the Canadian Pacific Railway. Though Thomas Jefferson predicted the US conquest of Canada was just “a matter of marching,” events proved otherwise. 7) The death of Shawnee leader Tecumseh at the Battle of the Thames in Ontario, Canada (October 1813), dealt a blow to Indian resistance to settler invasion. Although US-Indian warfare lasted through the century, never again would such an extensive pan-Indian inter-tribal movement be rallied. 8) While the War of 1812 resulted in no direct territorial gains for the United States, it diminished Great Britain as a potential sponsor of Native armed resistance, paving the way for massive westward settler expansion. Frontier expansion looked every which way, however, as in 1819 when US troops invaded (& subsequently annexed) Spain’s colony of Florida, ostensibly to suppress cross-border Indian raids. 9) American settlers weren’t the only ones hungry for land; American slave-owners were among the loudest War Hawks in the run-up to 1812 & among the chief beneficiaries of the post-war boom. The war presented American slaves with opportunity as well as danger, however: more than 4,000 were set free by the British between 1812 & 1814, the largest single emancipation before the Civil War. 10) News traveled slow in an age of sail. The last battle of the War of 1812 (ironically America’s most decisive victory on land), took place in January 1815, one month after Britain and the US signed the peace treaty in Ghent, Belgium. “The Hero of New Orleans,” Maj. General Andrew Jackson went on to lead American troops in their 1819 invasion of Florida & would in 1829 move into the White House. 11) Not every one in the US supported “Mr Madison’s War,” so-called to opponents of the incumbent President. In 1814, a group of Federalists met at Hartford, Connecticut to discuss means of protesting the ongoing (and economically ruinous) conflict with Great Britain. Among the proposed measures? Secession of the New England States from the Union. 12) The Star Spangled Banner. Composed at the siege of Fort McHenry, September 1814. How many people confuse this with our first War of Independence?! Stay posted for schedule updates soon & enjoy the last of summer!